Covering auctions, collectibles and marketplace selling. The AuctionBytes Blog has been giving a voice to online merchants since its launch in 2005. Named one of the world's top 30 blogs in 2008 by "Blogging Heroes." Weigh in with your thoughts on the joys and pitfalls of selling online. Online sellers continue to struggle with state sales tax issues, and Minnesota just threw a monkey wrench into the mix. We encountered a thread on the eBay boards that shows how Minnesota's well-meaning provision is causing additional headaches for small sellers. On January 1, 2019, eBay began collecting sales tax to comply with Marketplace Facilitator laws in Washington and Minnesota and will expand compliance to additional states with similar laws in the coming months. "Small business exemption - Minnesota has enacted a small business exemption for out of state unregistered sellers whose taxable retail sales into Minnesota are less than $10,000 in the previous 12-month period. These sellers are not subject to the Minnesota marketplace tax laws, and eBay will not be collecting sales tax on these transactions." That sounds good, however, it complicates things. Sellers had lots of questions in this thread on the eBay boards, but the Minnesota question initially flummoxed even the eBay moderator. First he said, "regardless of a seller's potential eligibility for exemptions eBay will collect sales tax for all purchases and remit this to the state. A seller can request credits they may qualify for, however, we will not be making adjustments based on the seller's business size. Not only would this be difficult to calculate and predict for throughout the year, but a seller very reasonably could be doing additional business in that state that would put them over the limit." "To clarify, we would monitor a seller's sales to determine if they qualify for exemptions and will adjust accordingly. We are aware that reporting is needed for seller's review and are working on future improvements. "While we are working to collect and remit taxes on the seller's behalf where we can determine this is required, a seller my need to make adjustments if they have revenue outside of eBay that puts them over this threshold. This is something on our radar and enhancements may come in the future to further support a seller's business." Let that sink in. eBay is forced to collect and remit sales tax as a marketplace hosting online sellers, but it's unable to determine if it should be collecting on behalf of a seller since he or she may or may not be exempt - and it lacks reporting capabilities for sellers that it acknowledges they need. States say the Supreme Court ruling in Wayfair in which it overturned Quill's physical nexus precedent allows it to make such laws, but the Supreme Court also said the laws could not create "undue burdens upon interstate commerce." 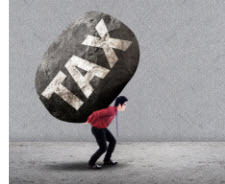 It sure looks like there are some significant burdens impacting small businesses around the country as each state creates its own laws and exemptions. A problem that came up each time Congress would make an attempt at a flat internet sales tax (Marketplace Parity et al) is that too many states would not relinquish their individual power to audit online sellers. The slow-motion developing sales tax chaos is not surprising anybody. On your sold item page you have to columns at the bottom. The taxes are being included in the total price. I NEVER collected the tax money so why is it my total price column? They need to add another line for taxes paid! My Total Price column has always bee the total amount of money I collected, now it's the total collected included taxes eBay has collected. Login is required to post comments. To sign in to leave a comment using your AB Verify User Name, fill in the form below. If you have not yet signed up for AB Verify, or if you'd like more information, go to the Registration Page. Be sure and use your email address and password to log in. Even though you are signed in with the AuctionBytes Blog, you will have to sign in to the EcommerceBytes blog. But you can sign in with your existing AB Verify info. Copyright Ⓒ 1999-. Steiner Associates, LLC. All rights reserved.